As many people know, the East Coast was pounded by Super-storm Sandy a week ago. She devastated communities along the Jersey Shore, Staten Island, Queens and Long Island. She left millions without power or heat and created a gas shortage that sparked an odd/even gas rationing here in New Jersey. After being hit hard only a year ago by Irene, my family was thankfully spared any true damage from Sandy. As you can see, they lost everything and need to start from scratch. If you are looking to donate to those who were hit hardest by Sandy, please consider donating to them. Another friend of theirs set up a link for monetary donations HERE which will help them to get back on their feet during this rough time. A special thank you to everyone I know who has already donated to them, either monetarily or by dropping clothing off here for them. I know that many people were impacted by Sandy, but I had to share the story of someone who I know personally. I urge everyone to help out in anyway they can. Volunteer time to communities to help with clean up, donate clothes, cleaning supplies, whatever is needed. 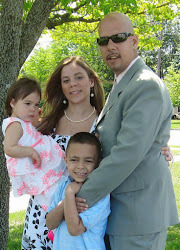 Please feel free to link to this blog, RT, share, whatever it takes to get the word out and help a family in need. Just saw this. Thank you so much Nicole.